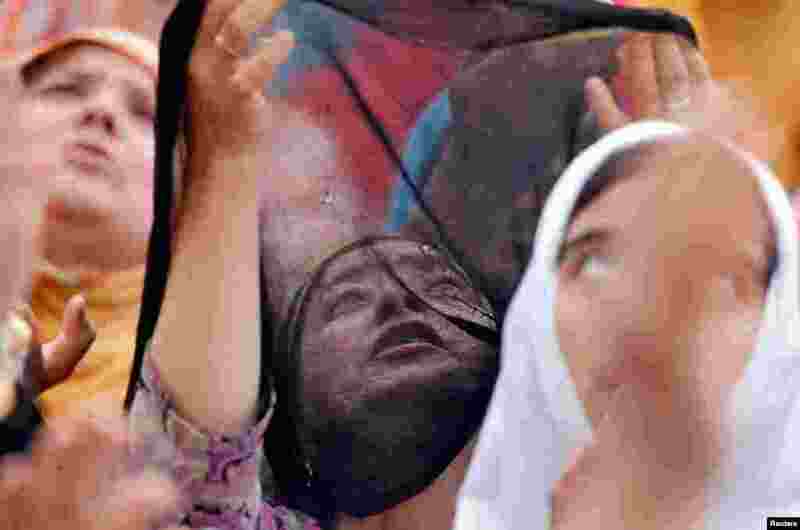 1 Muslim women react upon seeing a relic, believed to be a hair from the beard of Prophet Mohammad, displayed to devotees on the death anniversary of Hazrat Ali, son-in-law of Prophet Mohammad, at Hazratbal shrine during the holy month of Ramadan in Srinaga, Indian-controlled Kashmir. 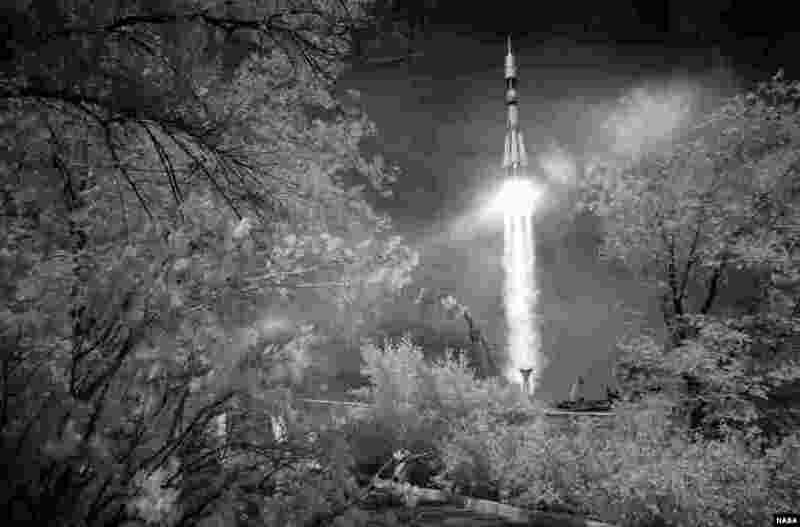 2 In this black and white infrared image, the Soyuz MS-09 rocket is launched with Expedition 56 Soyuz Commander Sergey Prokopyev of Roscosmos, flight engineer Serena Auñón-Chancellor of NASA, and flight engineer Alexander Gerst of ESA (European Space Agency), at the Baikonur Cosmodrome in Kazakhstan. 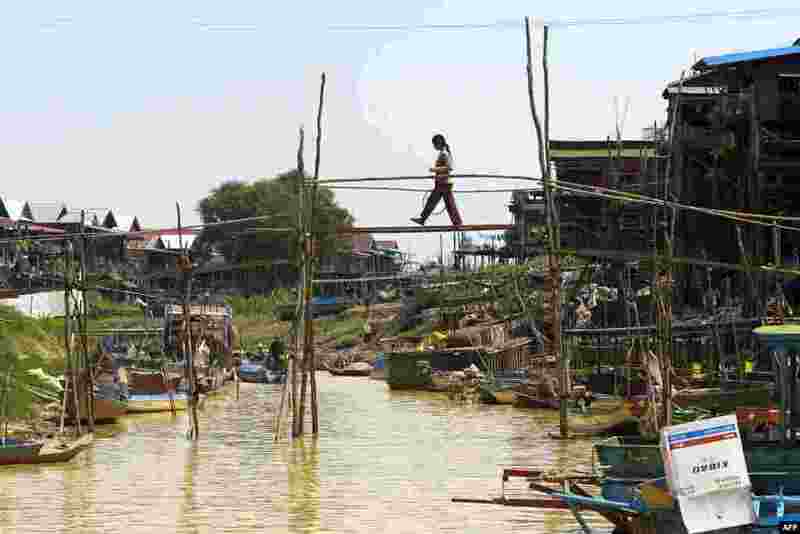 3 A woman crosses a bamboo bridge over a canal at the Kampong Phluk commune in Siem Reap, Cambodia. 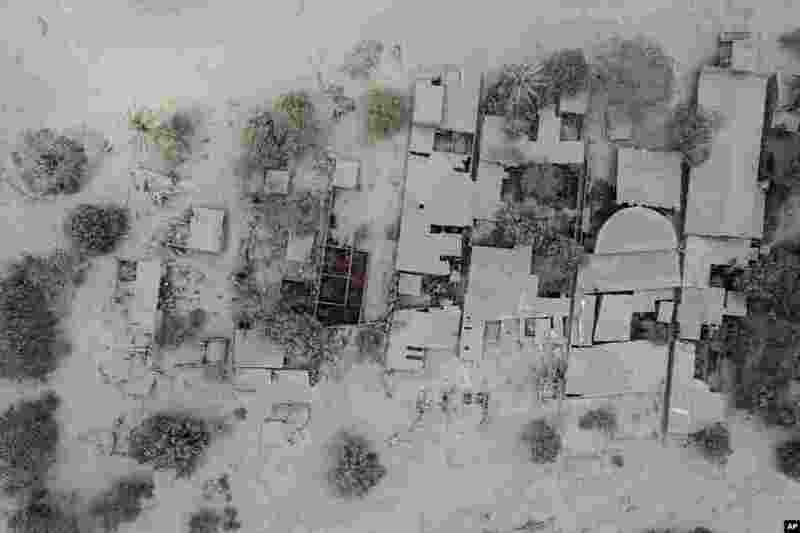 4 Rescue workers search in El Rodeo near the Volcan de Fuego, or "Volcano of Fire," in Escuintla, Guatemala, June 5, 2018.